A discogram is a diagnostic procedure used to precisely locate which spinal discs are injured and causing back pain. The discs in your spine are soft cushions that sit between each vertebra, the bones that make up the spinal column. Each disc is a cartilage-like material made up of an outer portion called the annulus which surrounds an inner portion called the nucleus. The nucleus pulposus is a soft jelly like substance that acts like a shock absorber. As people age, the spinal discs dry out and become less flexible and are more susceptible to tear or rupture. An injury to the disc is a major source of pain. A discogram may help your doctor determine whether the disc is the source of pain in patients with neck or back pain. Prior to your procedure, your physician may advise you to stop taking blood- thinning medications for a specified period of time. Your doctor will tell you which medications you may take, and which food or drink needs to be avoided the morning before the procedure. A discogram is performed as an outpatient procedure in a clinic or hospital room that has equipment for X-ray imaging of the discs. You may be given antibiotics to help prevent infection. You will be positioned on the table either on your stomach or side, and rolled forward slightly. Then the skin is cleaned and a local anesthetic is injected to numb the area. Your physician will pass a needle through the skin and tissues and into the center of the disc to be examined under X-ray guidance. Once the needle is inside the disc, a contrast dye is injected, and an X-ray or CT scan is taken to visualize the spread of the contrast dye. If the disc is normal, the dye will remain in the center. If the dye spreads outside the disc it may indicate tears in the outer ring of the disc. 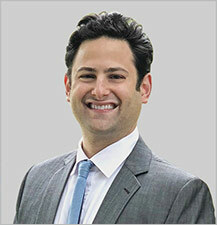 During the procedure, when an abnormal disc is injected, you will feel pain similar to your back pain. 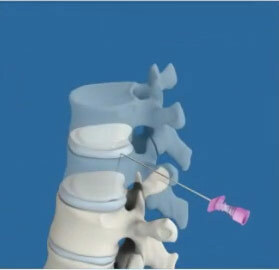 You may have slight pain when a normal disc is injected. After the procedure you will be under observation for 30 minutes or more. You should have someone available to drive you home after your procedure. You may experience some pain around the injection site for a couple days which can be managed with ice packs and OTC anti-inflammatory medications.